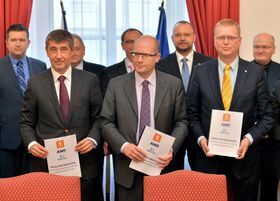 The parties of the emerging Czech centre-left coalition on Monday signed the final version of a coalition agreement and unveiled their nominees for 17 ministerial posts. 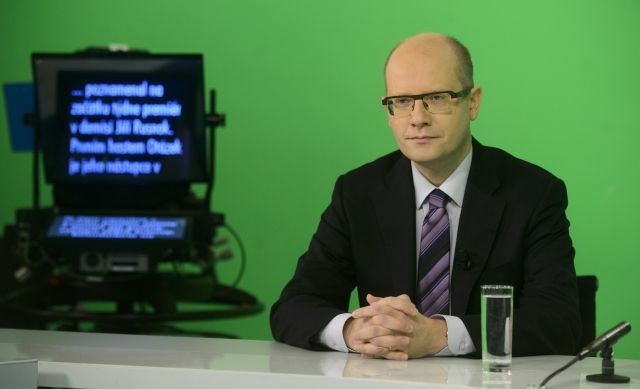 Social Democrat leader Bohuslav Sobotka says he hopes to be appointed prime minister within days. 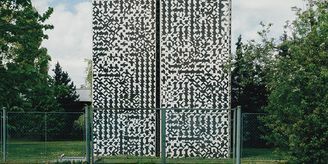 However, the final say on his appointment, and on the line-up of the new government, rests with President Miloš Zeman. 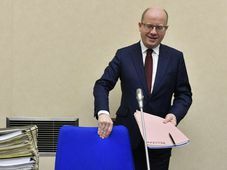 Bohuslav Sobotka, photo: CTK Leaders of the Social Democrats, ANO and the Christian Democrats signed the final version of the coalition agreement in the lower house of Parliament on Monday, 72 days after the general election. If appointed, the government would enjoy a majority of 111 seats in the 200-seat lower house. Social Democrat chair and prime minister designate Bohuslav Sobotka spoke to reporters shortly after the document was signed. The Social Democrats are set to take over eight of the nascent government’s 17 portfolios, including those of foreign affairs, industry and trade, interior, and labour and social affairs. 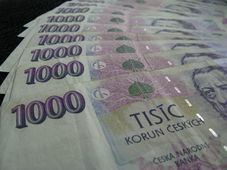 The leader of the ANO party, Andrej Babiš, is set to become the new finance minister. His grouping, which came a close second in October’s election, will have five other ministries, among them defence, transport and health. Andrej Babiš, Bohuslav Sobotka, Pavel Bělobrádek, photo: CTK The chairman of the Christian Democrats, Pavel Bělobrádek, is to become deputy prime minister for science and innovation, while the party is also set to get the agriculture and culture portfolios. 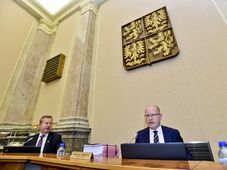 Several of the nominations have already come under fire: anti-corruption campaigners have criticised the Social Democrat nominee for health minister, Svatopluk Němeček, for his involvement in an overpriced procurement project. Environmentalists, meanwhile, have condemned ANO’s candidate for the environment ministry, Richard Brabec, over his past as CEO of a major chemicals producer. 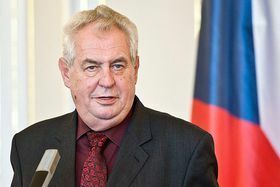 But more importantly, President Miloš Zeman has voiced his own objections to some of the names on the list, including Social Democrat Lubomír Zaorálek, who is in the frame for the post of foreign minister. The prime-minister-in-waiting, however, believes that is no reason for the president to delay appointing the government. “We think the president should act according to the Constitution without delay, as there is a favourable situation in the lower house for the establishment of a stable government. Miloš Zeman, photo: Filip Jandourek However, Mr Sobotka earlier threatened to take the issue to the Constitutional Court if the president refuses to appoint the government without reason stipulated by law. The priorities of the new government, announced last month, include boosting public investment, stabilizing the health and social sectors, and curbing corruption. The controversial issue of raising taxes has been put on hold for at least a year as the parties agreed to abstain from any changes to the tax system until 2015.